You will receive an email confirmation with attached voucher containing a QR code for each guest that can be scanned directly at the bus stop. 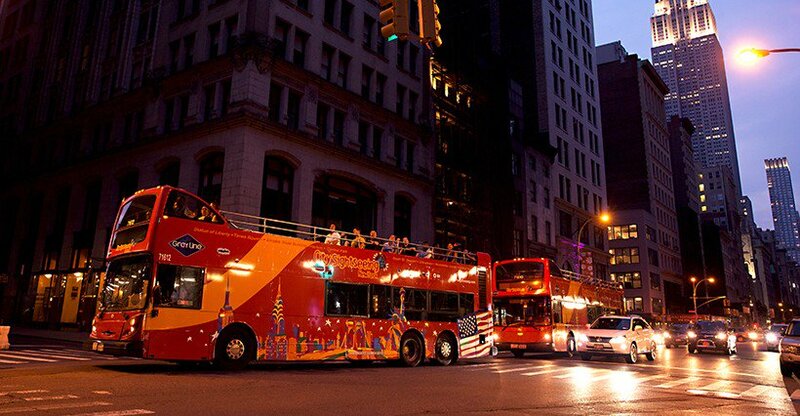 Discover brilliant lights and illuminated landmarks in “The City that Never Sleeps” with the exclusive NYC Night Tour on an open-deck double-decker bus. 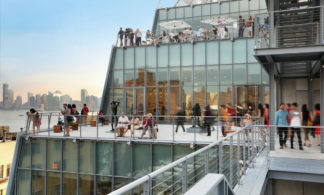 Accompanied by professional guides, this 90-minue evening tour covers the heart of Midtown & Downtown Manhattan. From Lower Manhattan, the tour bus continus accross the river to Brooklyn via the historic Brooklyn Bridge. 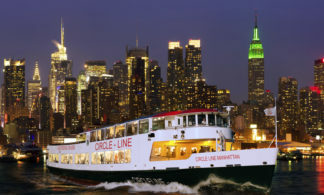 This is a great way to explore the twinkling spirit of New York City! See the awesome city skyline and its iconic landmarks lit up in their full glory. Double-decker tour bus with an open top deck that puts you in the center of the action. 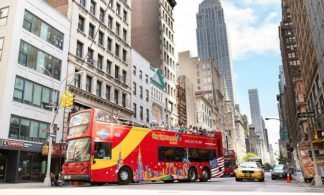 From the open-air top deck of our tour bus, you’ll have spectacular views of twinkling lights and top landmarks, like Times Square, Madison Square Garden, Rockefeller Center, the Flatiron Building and Union Square! Seeiconic attractions like the Empire State Building lit up in elegant white or, on special occasions, illuminated with brilliant colors. Friendly and well-versed tour guides will point out every sight and offer interesting commentary. From Lower Manhattan, you’ll cross the East River into Brooklyn, giving you the perfect opportunity to look out on the magnificent Brooklyn Bridge – which appears especially impressive at night. From Brooklyn, you’re in for the best view of the evening: An unimpeded panoramic view of the Manhattan skyline! Don’t worry, you’ll have plenty of time for photo ops! Is the Night Tour hop on/hop off? No, there are no hop-on/hop-off stops during the Night Tour. 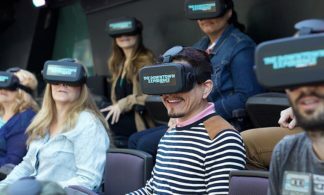 Is this tour available in my language? 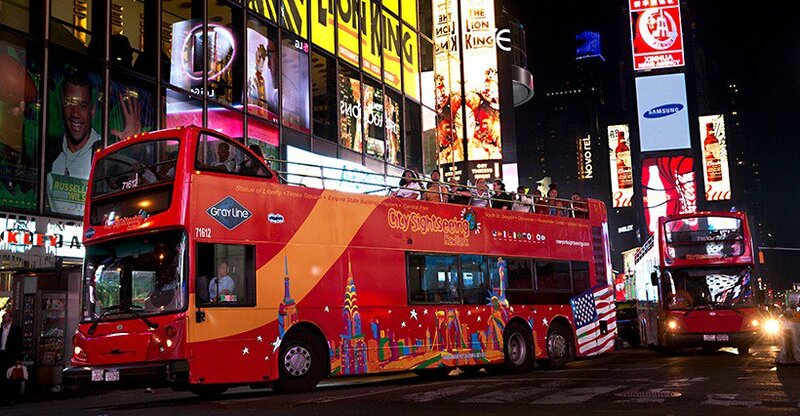 City Sightseeing has a live guide providing commentary in English on all of our bus tours. Recorded commentary is also available in: English, Spanish, French, German, Italian, Hebrew, Portuguese, Mandarin Chinese, Korean and Russian. Yes. Please bring a printed copy of your voucher with the QR codes or present your voucher on your mobile device.